Here’s a grab bag of Father’s Day gift ideas geared towards looking good, from belts and sunglasses, to accessories for your favorite gadgets. And for more great suggestions, be sure to check out the other categories in our annual gift guide. We’re always searching for the latest fashion accessories, and we love the way that Mission Belt Co. has completely revolutionized how a belt should be worn. Instead of the classic design – comprised of a belt buckle and hole-punched strap – Mission belts don’t have any holes at all. They use a ratchet system that makes putting the belt on and taking it off much faster and easier, all while providing a more perfect fit. And because you’re not constantly pulling the belt tongue in and out of holes, or rubbing the metal buckle against the band, you don’t have to worry about the wear and tear that occurs on a typical leather belt. Each Mission belt is also made of high-quality leather and can easily be trimmed down should you need to shorten it after losing some weight. 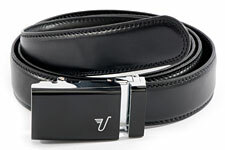 In fact, they’re so durable that the only reason you’ll need to buy more than one is because you want a different look, and with over 50 belt and buckle color combinations available, every guy is going to want at least a few of these in their closet. Heck, Mission Belt Co. knows that better than anyone, which is why they’ve created variety three-packs specifically designed for Father’s Day gift giving. It’s really hard to find great accessories for mobile devices – ones that are practical, durable and stylish enough that you’re not embarrassed to carry it around in public – but Element Case has teamed up with the makers of Ducati motorcycles to create a line of cases and covers that any guy would love. In addition to the popular Rogue and ION 5 models, which feature backplates made of carbon fiber, iPhone 5/5s users can pick up the sleek and chic Solace, the slimmest in the Ducati line with CNC-machined, aircraft-grade aluminum end-caps and a shock-absorbing polycarbonate chassis with a soft-touch finish. It’s hands-down the best iPhone case we’ve ever used – solid without being bulky. 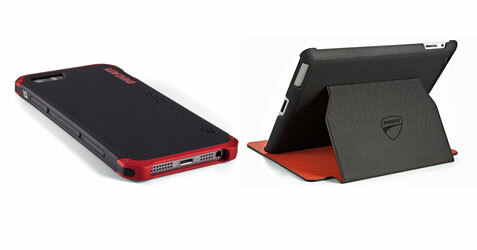 And for those that need to protect their iPad on the go, look no further than the Soft-Tec Folio. The outer Tech-Grip material has a non-slip synthetic coating to ensure a firm grip and enhanced ergonomics, while the inside is lined with plush synthetic suede that protects the screen. Though it doesn’t look quite as high-end as the Solace, the Soft-Tec Folio features the same excellent craftsmanship and stylish design of the entire Element/Ducati line. It’s just a shame that more cross-brand partnerships aren’t this awesome. Wooden eyeglass frames have been slowly coming back into fashion over the last few years, but the guys at Shwood have taken the fad to the next level by teaming up with Louisville Slugger to produce sunglasses using the reclaimed ash wood from Slugger Ashwood baseball bats. Available in two different styles – the Canby and the Haystack – the frames are made in the United States (Portland, Oregon to be exact), with wood manipulation kept to a minimum in order to showcase the medium’s natural and unique splendor. These sunglasses positively ooze the spirit of America’s favorite pastime, from the two-tone, black and white tips reminiscent of Slugger’s iconic paint-dipped bats, to the leather carrying case that smells like your childhood baseball mitt. Both frames are offered as part of the Shwood Original and Select collections, with Original models packaged with a branded wool pouch and custom trading card, while the Select kit includes a matching, limited edition bat, leather travel case and more. Can you think of a better gift for the sport-loving father in your life than this? 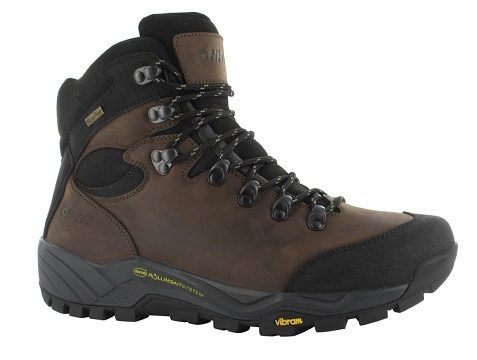 This waterproof boot is very comfortable and has a rugged yet modern style that most guys will like in a hiking boot. It features an abrasion resistant heel and toecap that protects against rough terrains, and it also has a Vibram rubber outsole that delivers great traction. We were impressed with the comfort and traction, so they make the perfect gift for the active person, or for someone looking for an excuse to become more active! Give the boots and also schedule a hiking trip with dad – now that’s a cool gift. 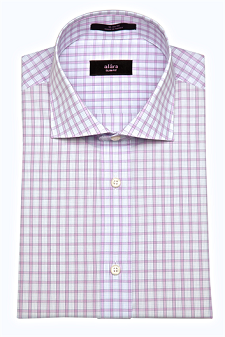 You’ll find tons of great gift ideas at AlaraShirt.com from their selection of shirts and ties. They offer a wide variety of shirt styles in slim fits and standard cuts as well. Keep that in mind when ordering for dad. We tried two slim-fit shirts that looked great on the website – the lavender grid slim fit shirt and the navy/white pencil stripe slim fit shirt and were very happy with both. The colors are very vibrant and the shirts were very well constructed and fit perfectly. The shirts are made with two-ply Egyptian cotton with meticulous craftsmanship, including 18 fine stitches per inch ensuring durability, adjustable mittered barrel cuffs, ultra flexible removable collar stays, side gussets for style and strength and Alara’s exclusive unbreakable mother of pearl blend buttons. The tie selection is also impressive, and the prices are very reasonable for the quality. With each item, you also get Alara’s 15-day, no hassle free return policy. So check them out and you’ll probably want some for yourself as well. If dad can use a new wallet, check out the wide selection at The Wallet Shoppe. The selection is huge and you can find everything from classic wallets for dad to trendy wallets for that brother who still wants to feel young even though he’s juggling three kids. Some may like the idea of a wallet that more like a money clip, and we tried out the 6-card wallet by Dosh pictured below. This wallet is is great for the person on the go and it’s unlike most traditional wallets. Dosh offers a unique designs that is moulded in TPU – a durable, water-resistant polymer material that feels rich and soft. 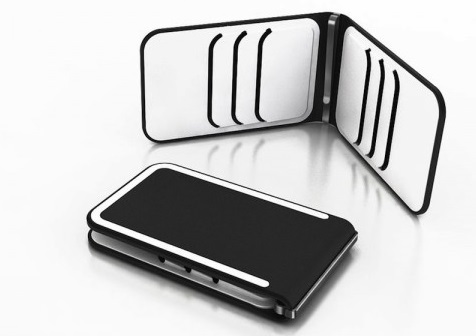 The money clip is crafted from high grade stainless steel and is located on the spine to ensure easy access and organization. 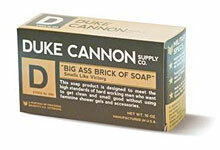 Browse the site and you’ll find more great options.